Jet Pilot's Matrix Pro Race John is a top quality neoprene Long John designed for use on a Jet Ski and to be worn in association with a wetsuit top or on it's own. How this differs from your regular long neoprene pants is that the john style goes over your shoulders, this means your pants can't slide down. Another key feature are the internal shin pads that help soften any blows to the shins when you're hammering over chop etc. 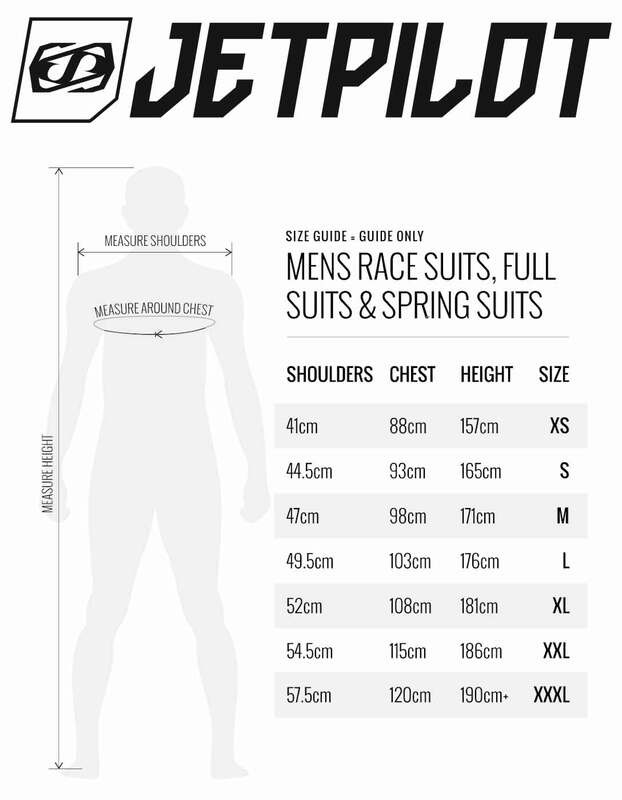 Jet Pilot's long history in Jet Skiing has allowed them to specialise their cut/fit to suit the jet ski application. This is important because surfing products are designed to be lied down in, for the most part, whereas jet ski gear is designed to suit the sit down ski position. This means that you're having to apply less effort to retain the correct position. Here is the matching Jacket and If you're after these in a pant style then you're in luck! 2mm Flex Lite Ultra Neoprene: Laid throughout the suit, ideal for surface water sports such as Jet Skiing in most conditions. Neoprene is designed to reflect heat and eliminate wind chill and with that in mind we regularly suggest undergarments if you're still struggling with the cold. 3MM Shin Pads: Thicker neoprene around your shins to reduce painful knocks. Ankle Zips: Easy entry and means you're gonna struggle to burst any seams around the ankle.